Chris Holtmann was born November 11, 1971 and is a basketball coach who is currently the head coach at Butler. Previously, he was the head coach of Gardner-Webb. Holtmann grew up in Nicholasville, Kentucky before playing basketball at Taylor University. In 1994, his senior year, he earned All-America honors and Taylor hit number one in the National Association of Intercollegiate Athletics (NAIA) rankings. Holtmann got his start in coaching as a graduate assistant at Taylor in 1997. The next year, he became an assistant coach at Geneva College, then returned to his alma mater as an assistant in 1999. Holtmann joined Gardner-Webb's staff in 2002 and spent the next five seasons there, first as an assistant coach and then as associate head coach. After two seasons as an assistant at Ohio, he returned the Gardner-Webb as head coach. At Gardner-Webb, he led a successful rebuilding effort culminating in the school's first Division I post season appearance in 2013. He was named conference and district coach of the year for his efforts. 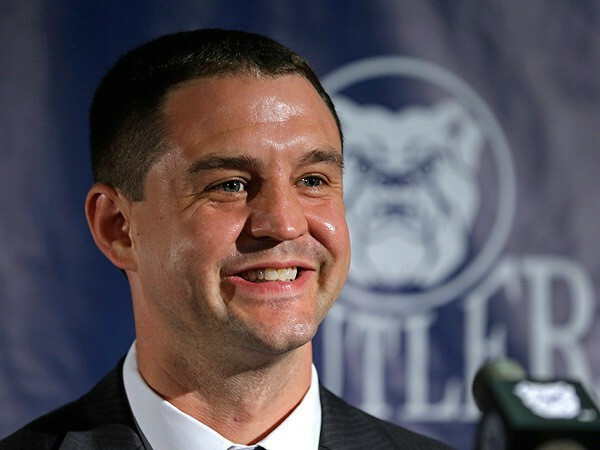 In July 2013, Holtmann left Gardner-Webb to become an assistant coach at Butler. In October 2014, he took over the program as interim head coach when Brandon Miller requested a medical leave of absence from the university. On January 2, 2015, Holtmann was named the permanent head coach. He has a reputation of being a strong recruiter, signing multiple conference player of the year athletes, and as a defensive tactician. NBA celebrities such as a Chris Holtmann have taken the game to new levels. The booking agents at AthletePromotions can assist with Chris Holtmann speaking engagements or appearances from the NBAs elite. We have years of experience in booking legends on the court for keynote speeches and autograph signings. Hiring a basketball speaker like Chris Holtmann is not a hard process. Our agents can provide availability, fees and all costs associated in bringing out a successful football star to your next corporate event. We can find Chris Holtmanns agent to make your event a success.A Chris Holtmann appearance will add much excitement to your upcoming event.Most likely, basketball fans and corporations can find Chris Holtmann's official website, charity involvement, Twitter account, representation, publicist and management info at www.Chris Holtmann.com.